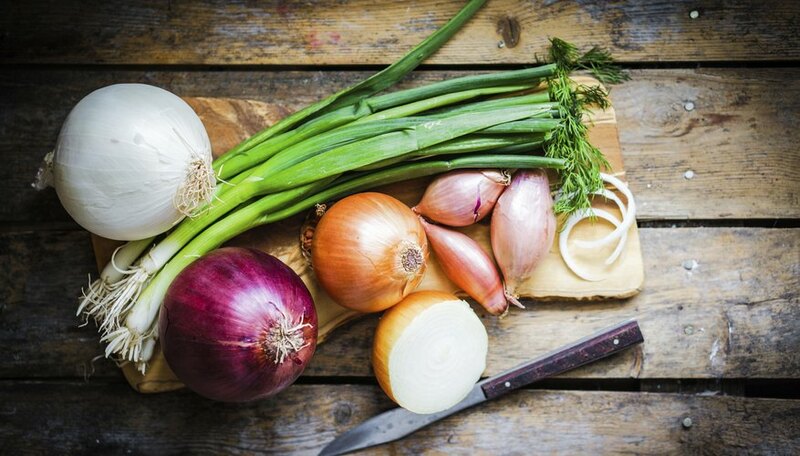 With so many varieties available to the home gardener, it is difficult to decide which onions (Allium spp.) to plant. Fortunately, several varieties can be grown at the same time. 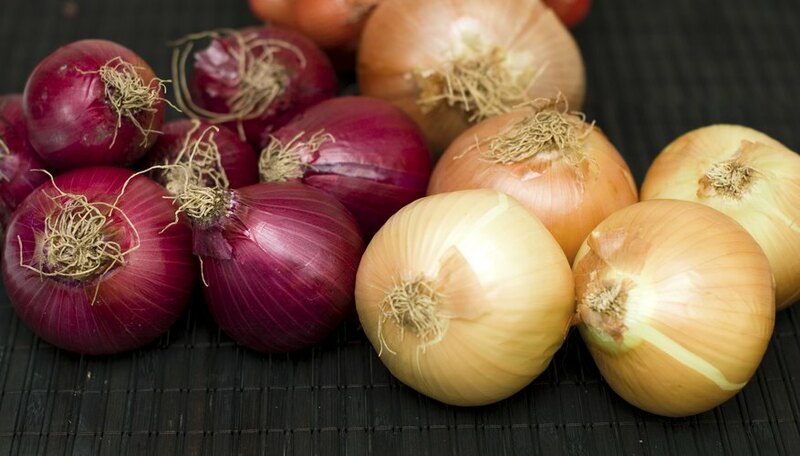 Grow red onions to add color to salads, sweet onions to add mild flavor when cooking and bunching onions for snacks. ‘Red Burgundy’ (Allium cepa ‘Red Burgundy’) produces sweet, mild, red, cooking onion bulbs that are ready to harvest 95 days after planting. The bulbs are 4 inches in diameter with red skin and white, red-tinted flesh. They stay fresh in cool storage for months, which is unusual for red onions. ‘Yellow Granex’, ‘Maui’, ‘Noonday’ or ‘Georgia Sweet’ (Allium cepa ‘Yellow Granex’, ‘Maui’, ‘Noonday’ or ‘Georgia Sweet’) are sweet yellow onions that are similar to ‘Vidalia’ onions (Allium cepa 'Vidalia') but are ready to harvest sooner. ‘Yellow Granex’ onion bulbs are ready to harvest after 80 to 109 days while ‘Vidalia’ onion bulbs need about 160 days. ‘Yellow Granex’ bulbs appear flattened and are 3 to 4 inches in diameter. ‘White Granex’ or ‘Texas Sweet’ (Allium cepa ‘White Granex’ or ‘Texas Sweet) produces sweet, mild, salad onion bulbs that are ready for harvest in 100 days. ‘Crystal White Wax’ (Allium cepa ‘Crystal White Wax’) has pearl onion bulbs that can be pickled or put in soup or stew. They are ready for harvest after 60 days when they are 1 inch wide. ‘Red Wethersfield’ (Allium cepa ‘Red Wethersfield’) onion bulbs are 4 to 6 inches in diameter with a deep-maroon skin and pale, pink flesh. They are sweet and can be added to salads or used in cooking. They are ready for harvest 100 to 115 days after planting and store well. ‘Yellow Ebenezer’ (Allium cepa ‘Yellow Ebenezer’) onion bulbs are 2 ½ to 3 inches in diameter, pale yellow, mild-flavored with crisp flesh and used in cooking. They are ready for harvest after 100 days and store well. ‘Snow White’ (Allium cepa ‘Snow White’) produces sweet, white bulbs that grow in long- or short-day climates. They are ready for harvest after 90 days. 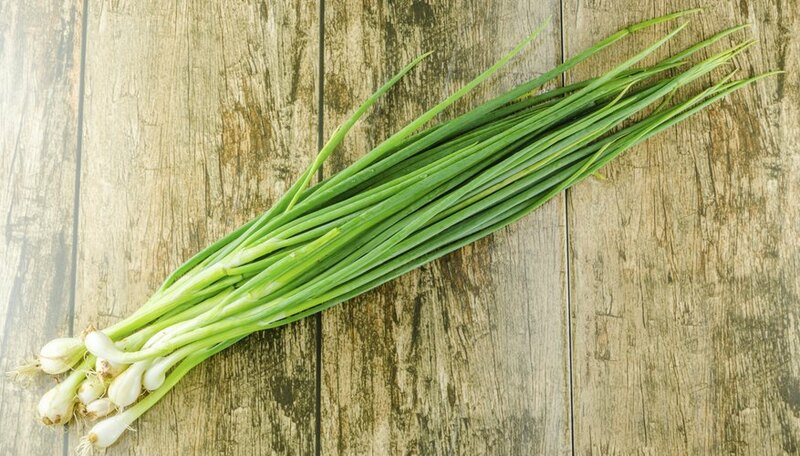 Bunching onions or scallions do not have day-length requirements. They are also known as multiplier onions because they will reproduce and spread by forming offsets. 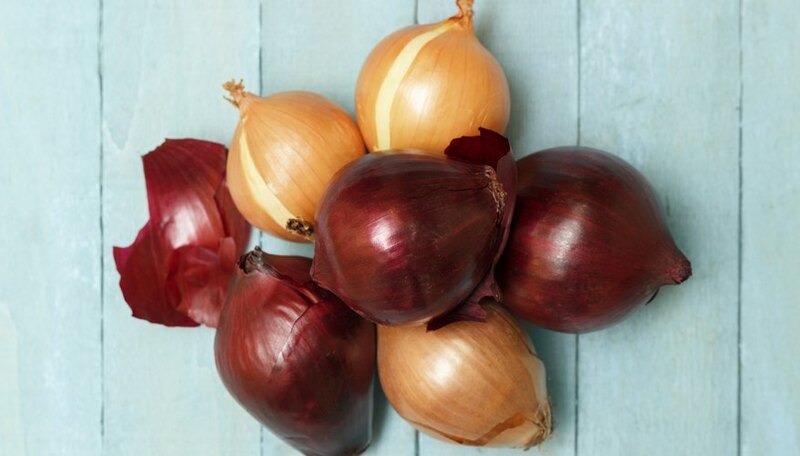 Bunching onions are eaten raw straight from the garden, sliced and added to salads or used in cooking. ‘Red Beard’ (Allium fistulosum ‘Red Beard’) is a bunching onion that has a little red close to its base and is ready for harvest after 45 to 85 days. 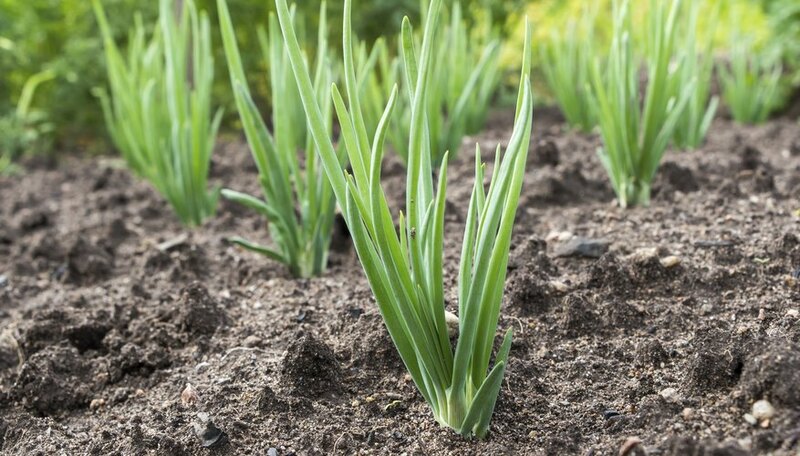 ‘Evergreen White Bunching’ (Allium fistulosum ‘Evergreen White Bunching’) is a bunching onion that produces mild, green bulbs that can be harvested after 70 days. All onion plants require full sun -- at least six to eight hours of direct sunlight each day. They are not particular about their soil, but it must be loose and drain quickly. Mix a 1- to 2-inch depth of compost into the top 6 inches of soil before planting or sowing onions.